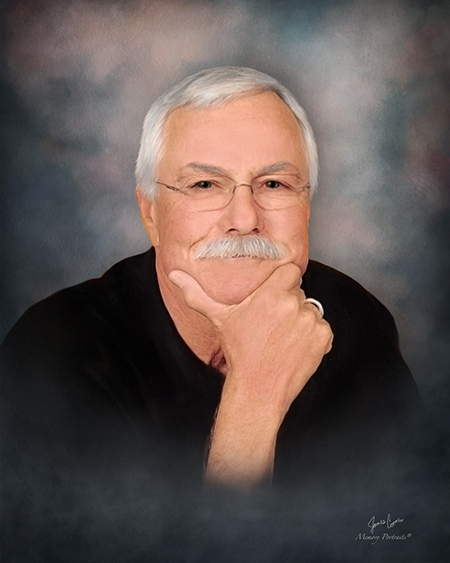 John William Timmons, age 69, of Sandia, Texas, passed away on Wednesday, November 28, 2018. He was born in Keyser, West Virginia on September 29, 1949. John was married to Brenda (DeLaune) Timmons on March 3, 1972; they were married 46 years. He enjoyed golf, working in the yard, and spending time outside at his home on the lake. He fought the impact of his congenital heart disease for 69 years and finally won the battle. John is survived by his children, Nathan Timmons (Romy) and Mathew Timmons (Kelly); his grandchildren, Madison Timmons, Cameron Timmons, Peyton Timmons, Emily Timmons, and Luke Timmons; his brothers, James Timmons (Judy) and Jeff Timmons; his half-siblings, Joni Green (Leonard), Karen Crosby, Liz Cochran (Brent); as well as numerous nieces and nephews. John is preceded in death by his parents, John F. Timmons and Mary Jane Timmons, as well as his biological father, John William Harvey. A Memorial Service will be held at 10:00 a.m. on Wednesday, December 5, 2018 at First Baptist Church in Alice, Texas with Pastor Charles Childers officiating. In lieu of flowers, to support the ongoing research and care for patients with congenital heart disease in memory of John William Timmons, contributions can be made to Texas Children’s Hospital Cardiology, Office of Philanthropy, Ste. 5214, P.O. Box 300630, Houston, TX 77230-0630. Arrangements are entrusted to Holmgreen Mortuary, 2061 E. Main St., Alice, Texas.